Features: This Ceramic coffee cup is reusable, colourful, and comes with a silicone lid for a spill-free coffee-drinking experience. 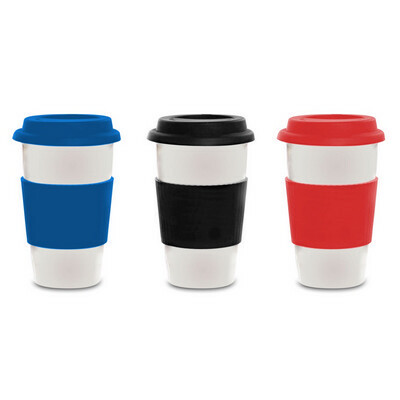 The cup itselfcomes in colours of Royal Blue, Black, White and Red. Price includes : 1 COLOUR 1 POSITION PRINT. Setup is included.